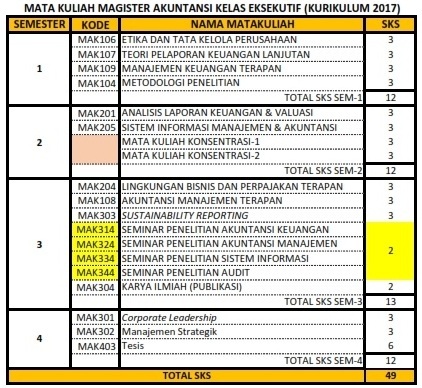 Mata Kuliah Pilihan dapat dibuka apabila minimal terdapat 3 (tiga) mahasiswa yang mendaftar pada mata kuliah tersebut. 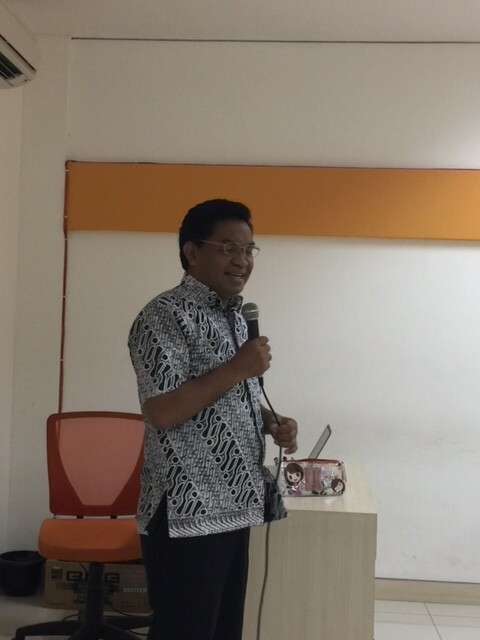 Master of Accounting Faculty of Business and Economics, Soegijapranata Catholic University emphasizes on an applied accounting. The learning process of this program will focus on real cases and current issues in accounting field and relate them with accounting profession standards. 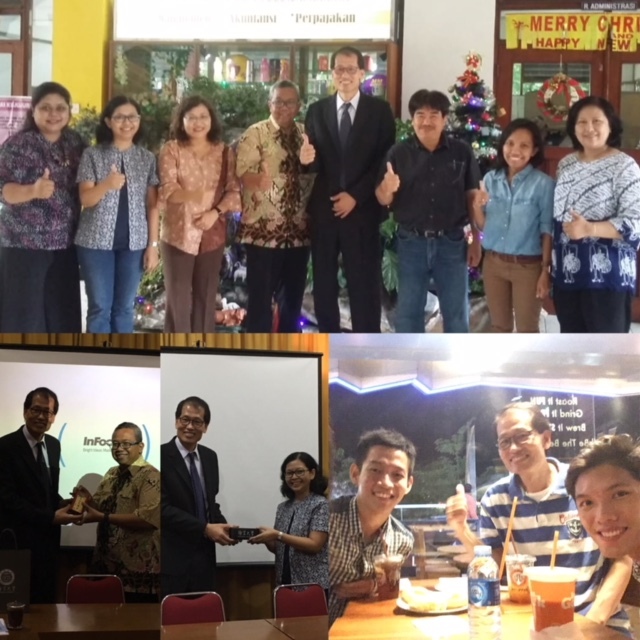 Therefore, the Master of Accounting program will be able to connect with best practices of professional works. 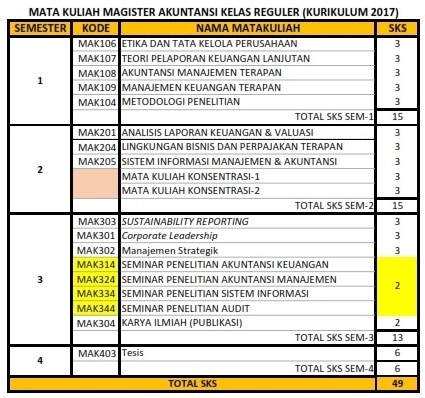 The curriculum design, learning process and academic environment have been designed to create competence professional graduates in accounting fields. They are expected to be able to take roles as decision makers in financial accounting, accounting information system, auditing and managerial accounting in the organization. 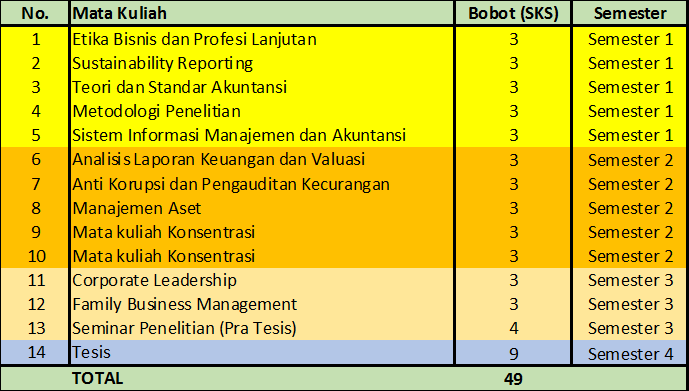 Moreover, they should be able to solve problems in accounting fields with multidisciplinary perspective. 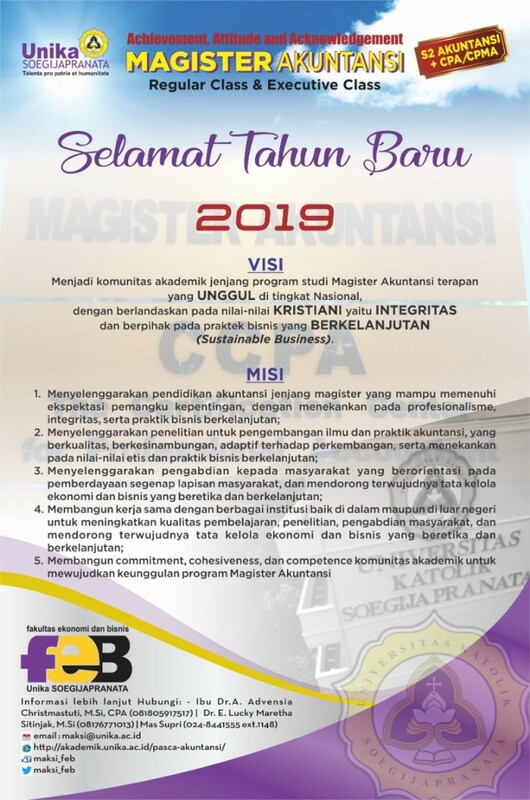 The graduates of Master of Accounting Faculty of Business and Economics, Soegijapranata Catholic University are also expected to have a strong ethical character emphasizing on sustainable business. 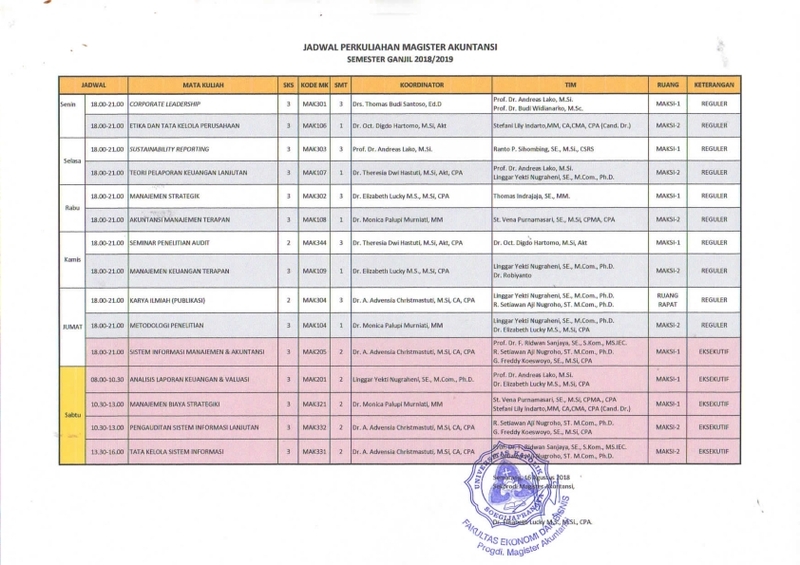 he/she has been working in the field of accounting, finance, auditing or accounting information system. A referee from the workplace must be provided as an evidence.